¿Tú sabes qué es una abeja pántrax? Pues una abeja que si te pica estás perdido, porque lleva un veneno que hace que te vuelvas majara. ¿Que cómo lo sé yo? Pues porque no hace mucho el pobre Sr. Flat fue víctima de una de esas criaturas. Y ahora me preguntaréis: ¿y tiene remedio? Y yo os contestaré: ¡leed! Ah, y en esta aventura hay tres estrellas invitadas: ¡Dog, Boby y Pinchito, los monstruos ganadores del concurso Dibuja tu monstruo!Hi! If you haven’t met me yet, my name is Agus Pianola and I live with a bunch of monsters. We have already had loads of adventures together, always fighting the evil Dr. Brot. What a nasty guy! By the way, do you know what a pantrax bee is? Well, you’re in trouble if this bee stings you, because it contains a venom that drives you crazy. How do I know that? Because poor Mr. Flat was the victim of one of these creatures not so long ago. And now you’re going to ask me: is there a cure? 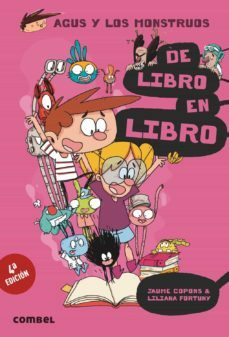 And my reply is: read!Oh, and there are three guest stars in this adventure: Dog, Boby and Pinchito, the monsters that won the Draw your Monster competition!